Alien Gear’s Cloak Tuck 3.0 IWB holster offers both right- and left-hand orientation, dozens of sizes (specific to gun models, such as the Ruger LC9 or Glock 19) and requires no break-in time. Alien gear holsters are known to be high-end, and they’re also proudly made in America. Is this the best IWB holster? Is The Alien Gear Cloak Tuck 3.0 The Best IWB Holster? No maintenance required and no break-in time make the Tuck 3.0 a top choice for gun owners. Award-winning in design, the 3.0 is comfortable to wear on bare skin, and it’s a holster that is designed for either right- or left-handed users. I can’t stress the importance of choosing the right-hand orientation for your holster. Designed for comfortable concealment, the Tuck 3.0 is made with formfitting neoprene, which allows for a flexible base and no break-in time. You can start using the holster immediately without needing to break-in the material. 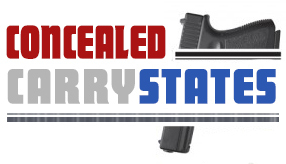 It’s the perfect choice for new gun owners that want to start conceal carrying immediately. Spring steel and ballistic nylon make up the core of this holster, and being firm and flexible, the holster ensures that your gun is secured firmly. Thermoelastic polymer is used on the surface of the skin to provide security while ensuring no marring of the finish. This is the “Alien skin” you’ll read about in a lot of Alien gear holster reviews. Custom-sized, the retention shell is designed for specific firearm models, and this allows for a custom fit. You can choose to buy additional shells that work with the universal shell system. This allows you to swap out shells with your same holster. You’ll also have a 30-day test drive period when you order this holster. If you don’t like it for any reason, the company will buy it back from you. Lifetime of retention shell swaps are available, and they’re free. Say you own a Glock but buy a Ruger, you can call the company, and they’ll swap out your old shell for a new one for free. And if you ever experience a defect, damage or something else is wrong with the holster, they’ll replace your holster outright. Alien Gear Holsters stand behind their warranty, and this means a product that is warrantied for as long as you own it. The comfort cushion adjustment is a nice addition, and the company even provides the wrenches you need to make proper adjustments. Alien Gear designed the 3.0 to be easy to attach, require no maintenance and even attach with ease, and the company has made good on all of their design goals. It’s one of the industry’s most comfortable holsters. Material. Plastic and composite holsters are hard with q smooth texture, but many have less of a break-in period, if any. Leather is a great option, but leather can be hot and uncomfortable until properly broken in. Orientation. You want to choose a holster that matches your orientation, i.e. : right hand or left-hand options. These options allow for a quick draw and will provide the most comfort. Sizing. Guns come in different sizes, so it’s important to pick a holster that matches your gun’s size. If you have a holster that is not the appropriate size, it may take longer to grab the gun or it may cause catching on the holster. The best sized holster is the one that is designed to match your firearm. Waterproof material is also a great option for long-term or frequent wear. Aside from this, I suggest that you read through reviews and ratings of the holster you’re considering to find the right one for your needs. If you want to buy the Alien Gear Clock Tuck 3.0, there’s no better option than Amazon. The leading retailer, also based in the United States, offers some of the lowest prices, fast shipping and ample reviews to read through. You’ll find over 1,300 positive reviews for this IWB holster, and you can see what people liked and didn’t like about this model. Amazon also has top-of-the-line customer service, so the company will replace a broken product or lost item in most cases. For the best price on the best IWB holster, Amazon is the only company I trust.